HAVE YOU ever considered how many of your work hours are wasted on multitasking and refocusing your attention after every email and small task? It takes an average of 23 minutes and 15 seconds to refocus on a task. Now, imagine you were distracted about five times each day – this results in hundreds of wasted hours every year. An increasing number of people have replaced their to-do lists with weekly work plans. Why? Because they’re able to plan more efficiently and spend less time on regaining focus after being distracted. The power of weekly planning lies in the perspective and control it provides for your work. Setting aside around half an hour each week is not that much, but the return on investment is phenomenal. To visualise your whole week at once allows you to spread out and prioritise work in a manner that significantly increases what you can accomplish. It also gives you an opportunity to align your day-to-day and often trivial tasks along with your long-term plans and goals. As a result, you can better organise the tactics and logistics to make your long-term vision a reality. In all aspects – weekly planning gets you more work done. 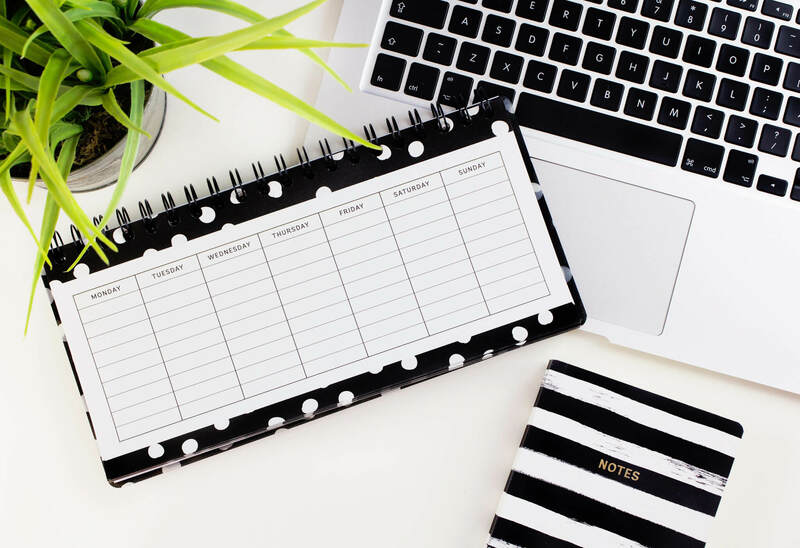 In this article, you’ll find a comprehensive step-by-step guide to setting up your personal weekly time management plan. We’ve done our best to keep it as straightforward and actionable as possible. Ready to save hundreds of hours and loads of energy by working smarter? Let’s roll. When compiling your weekly work plan, you first need a place to manage it. But what’s the perfect tool for this? Everyone has their own preference for what tools to use for work planning. Some prefer using good old pencil and paper, others like digital tools such as Scoro, Trello, Notion, or similar. There are a fair number of work planning solutions available on the market. Just test what works best for you. You should be able to use a week calendar – at least five columns, one for each workday. 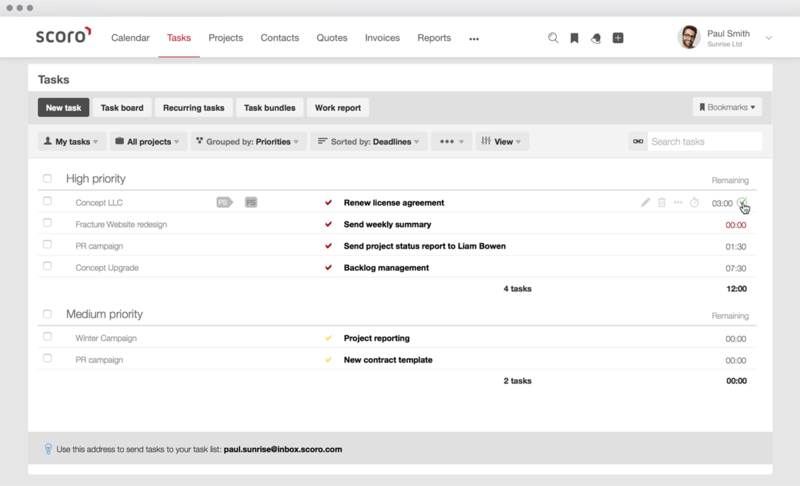 You should be able to add projects and separate tasks under each project. For tasks management, there should be a box-ticking option to mark them as done. You should be able to drag-and-drop the tasks between the columns (for quick management). The tool you’re looking for should be easy-to-use and flexible. Your weekly planning ritual won’t make a difference if you do it once a year, or even once a month. It’s called weekly for a reason and you’ve got to make that a habit to make it work. First, pick a day that you’ll use to establish your weekly work plan. Friday is a good day for this – then you can both review the previous week’s successes and failures and look ahead to the next week. Pro tip: Set aside about 30 minutes on your chosen day for planning (eventually, you should be able to do weekly work planning in five to 10 minutes). Then get ready and comfortable – go somewhere where you can be away from unnecessary distractions, get something to drink, put on your favourite music, or use any other measures that could set you personally in the mood for a “mastermind” planning session. Start by listing your big-picture goals. Then decide what you need to accomplish next week to meet those goals, and find one place to list all your tasks for the week. Keep in mind that ideally, the tasks you add to your weekly plan should only be the ones that bring you closer to those big-picture goals – anything else is a distraction. Prioritise – ensure your daily plan includes up to your top five most urgent items to accomplish that day. Any less-pressing or less-realistic tasks can go at the bottom of your list, just in case you manage to get to them. 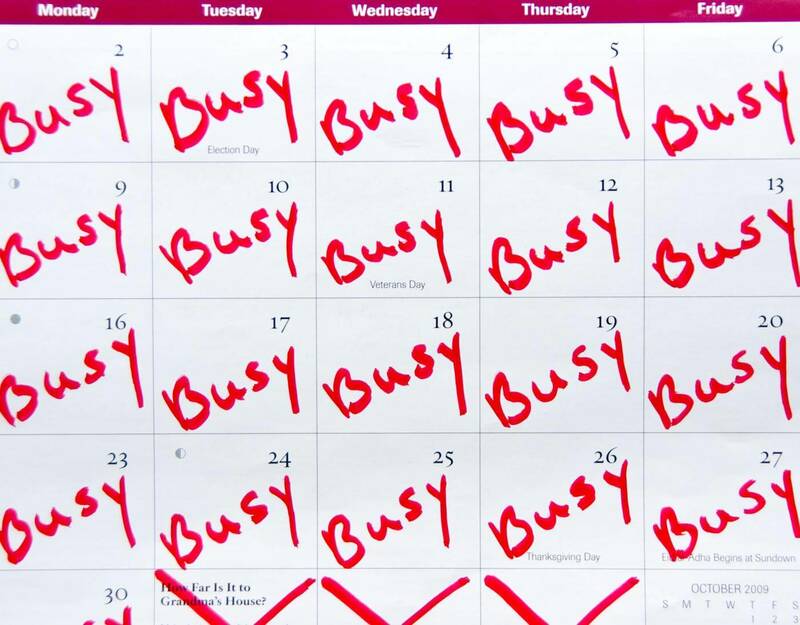 The weekly work plan ritual is a good chance to check your calendar for the week. Is there anything you need to prepare for any events or meetings? 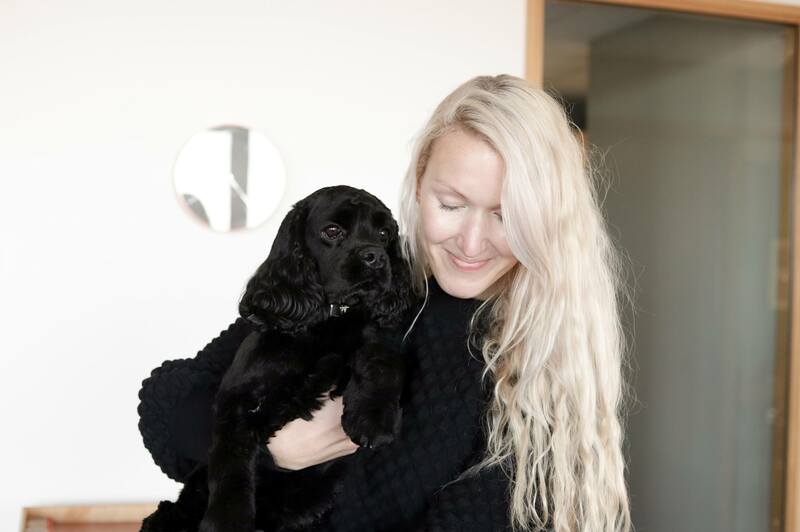 I like to use Scoro for my weekly planning, because the calendar, task list, time tracking, and my personal work report are all connected in one holistic system – that saves me time from double data entry, and makes work planning so much easier. Based on your big-picture goals and calendar, you should have your list of tasks for the week – now it’s time to plan your own time for these tasks. After having decided what you want to accomplish next week, schedule the time you need to carry out those tasks. Best way to do that is to add the tasks to your calendar. This will help you stay focused. Pro tip: The best way to make sure you planned a realistic amount of work for the week – add it to your calendar and see if everything fits. Cut the tasks that do not fit into your calendar, and schedule them for the following week. It’s important that you plan time to complete a task, not a project – for instance updating the website is a project, not a task that can be completed in two hours. Make sure you break projects down into smaller tasks such as “writing a blog post” or “finding new photos and artwork” and then schedule blocks of time to do each. The most common mistake people make in weekly planning is reviewing their task list first. In fact, productivity experts recommend making this the very last step. Instead, remember to always review your goals and projects first to make sure you are working on your most important tasks, and before adding any additional tasks to your calendar, ensure the task aligns with your goals. Pro tip: Be careful not to over-schedule your time – leave at least 30% of your calendar open for unexpected meetings and activities, as well as for time to reflect and think, or just to have a break. The scheduled breaks also leave a buffer zone between tasks, so it’s okay if you cross the planned time frame a little. Now you’ve planned all your work, it’s time to work the plan – all of this planning will be of no help to you if you don’t follow the agenda. Action the weekly plan first thing each morning to set clear goals for the day. Keep in mind that even the best-laid plans sometimes need adjusting – that’s why daily planning is so important. Look back at the current week to make sure nothing has fallen through the cracks. Were there any tasks left uncompleted or meetings that were cancelled? Reflect on why did that happen – did you underestimate the amount of time needed to complete a task or did just the unexpected happen? Pro tip: Immediately move anything you didn’t complete to a new date and time in the week ahead. However, if you move something more than three weeks in a row, delegate or delete it. At the end of each week, take a look at your weekly plan. Feel the rewarding sense of accomplishment when looking at all the ticked boxes in front of the tasks. Reflect on your previous week and how you performed. How did it go? Did you achieve the goals you set for yourself? What were your successes and failures? How could have you done things differently? Any tasks or items you need to follow up on? Planning your weekly work is an ongoing process of learning. Along the way, you learn to predict your energy levels, follow productivity tips, and plan accordingly. You will also learn to let go of inefficient tasks and projects. After a few weeks, you’d never like to go back to the time of the huge to-do lists. Once you get into the habit of weekly work planning, it becomes something you enjoy and look forward to. You’ll soon find the benefits to be more than worth the time you spend doing it. As you consistently plan out your week, you’ll find yourself with more motivation, direction and productive time. Let us know how you get on!